OAKLAND, CA -- Klay Thompson scored 27 points with seven 3-pointers and the Golden State Warriors rolled into the second round of the playoffs without injured superstar Stephen Curry, thoroughly embarrassing the Houston Rockets 114-81 on Wednesday night in Game 5. 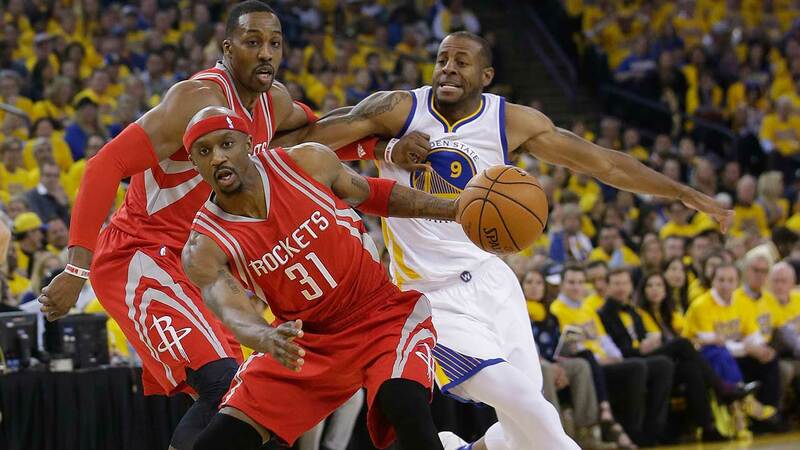 So much for Jason Terry's guarantee there would be a Game 6 back in Houston. Without their MVP, Curry's fellow Splash Brother set the tone from the opening tip. Thompson became the first player in NBA history to make at least seven 3s in consecutive playoff games, while Shaun Livingston scored 16 points for his third double-digit performance in three games while starting in Curry's place this series. James Harden scored 25 of Houston's 37 first-half points on the way to 35 points, but the Rockets had no chance with a one-man show against the deep defending champions.